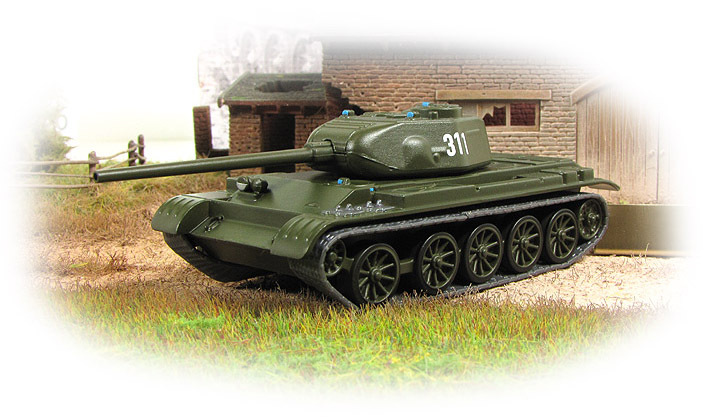 The T-44 is a medium tank first produced near the end of the World War II by the Soviet Union, and is the successor to the T-34. Fewer than two thousand T-44s were built, but the design became the basis for the T-54/55 series of main battle tanks, the most-produced tank of all time. 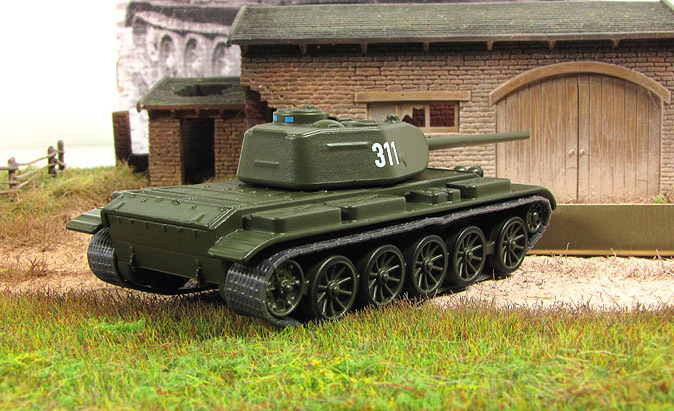 The T-44 was issued to three tank brigades mustered on 15 September 1944 for training purposes, but these formations (6th Guards, 33rd Guards, and 63rd Guards Tank Brigades) were re-equipped with T-34-85 tanks prior to entering the Battle of Berlin and Prague Offensive. The T-44A was not used operationally during World War II in Europe for several reasons, including the fact that the Red Army was not ready to accept a new tank because of lack of sufficient sparesand technical specialists who could repair and maintain the new tanks as well as the fact that many of the tank crews would have to be retrained. However, three tanks were sent to the 100th Special Tank Company which tested them on the Eastern Front. 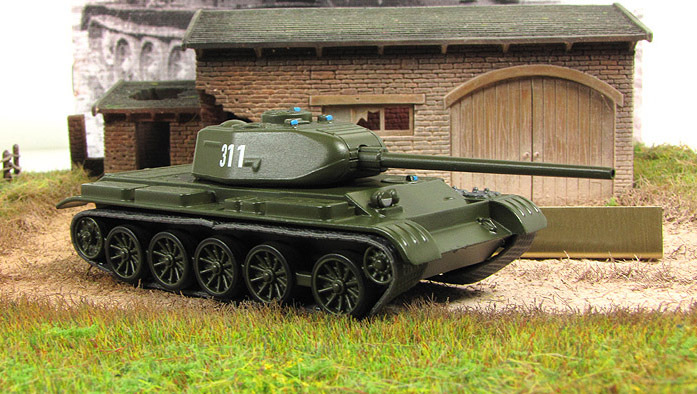 Many T-44As were immediately sent after they were produced in the Far East regions of the Soviet Union. The first tanks arrived there before the end of the war and were used operationally during the last three days of fighting. They continued to arrive after the war and eventually around 600 T-44As were stationed there. Due to the Cold War, the USSR decided to keep the tank secret. It was never shown publicly during military parades and pictures were never shown publicly until the secrecy was dropped. There is almost no photographic evidence of T-44s stationed in East Germany or during the Soviet invasion of Hungary in 1956 although it is known that T-44s were sent there (there are only a small number of photos of T-44As in Hungary in existence). In 1961, a number of T-44As were modernized with parts from the T-54 main battle tank and other upgrades and received the designation T-44M. 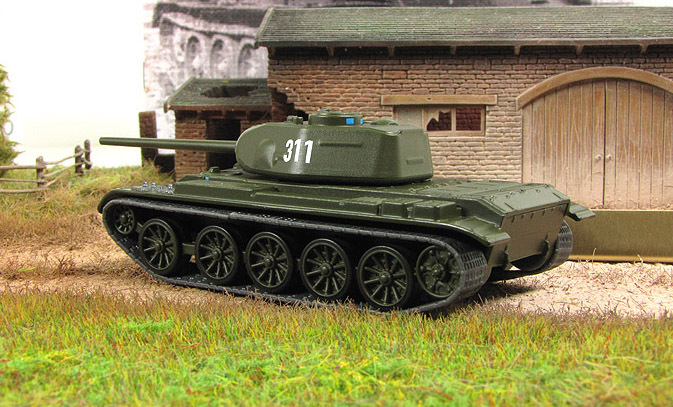 In 1963, some T-44Ms were converted into T-44MK command tanks. In 1965 some T-44Ms were converted into BTS-4A armoured recovery vehicles. In 1966, a number of T-44As and T-44Ms received the "Cyclone" gun stabilizer and the designations T-44S and T-44MS, respectively. 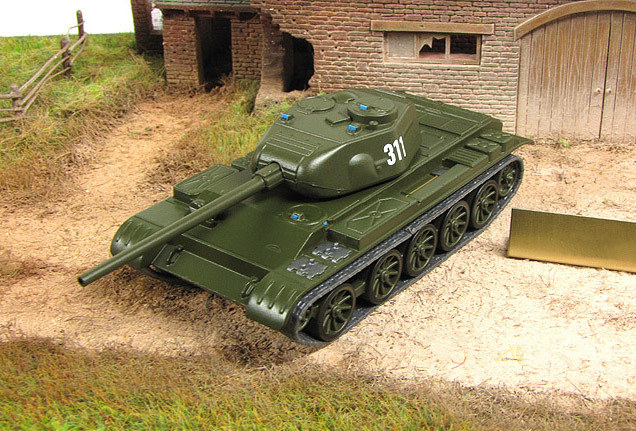 According to most sources T-44S, T-44M and T-44MS tanks remained in service with the Soviet Army until the end of the 1970s, when their usefulness as tanks had ended. It is possible that they remained in storage until the beginning of 1990s. Many T-44Ms were converted into artillery tractors, tank tractors and engineer tanks. A number of T-44A, T-44S, T-44M, T-44MK and T-44MS tanks were converted into fixed defensive positions; some of which are known to have been positioned on the border with the People's Republic of China. Unlike most Soviet made weapons the T-44 wasn't exported.